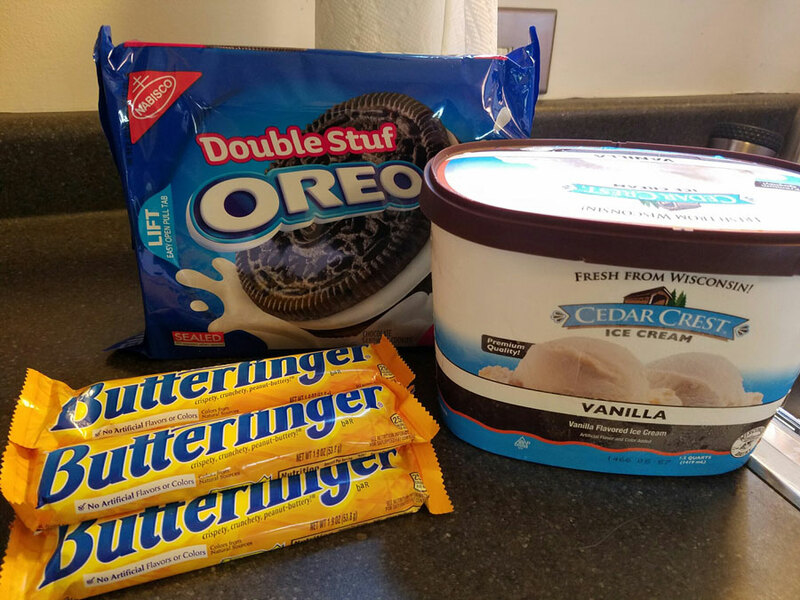 Add the melted butter, oreos and butterfinger bars to a food processor and pulse until they are finely ground. Spray the bottom of a 9x13 pan with non-stick cooking spray. Sprinkle ½ of the ‘dirt’ mixture over the bottom of the pan and press lightly. Spoon softened ice cream over the top and then sprinkle the remaining ½ of the dirt mixture on top of the ice cream. 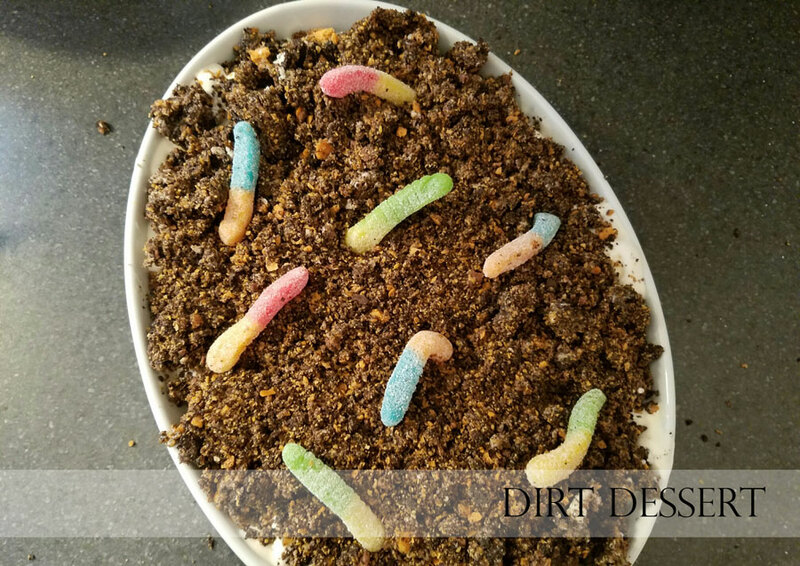 Tuck the gummy worms into the dirt dessert as a garnish. Freeze 6 hours or overnight.